I know I've missed some doozies because I was busy to check the last few months, but here we are. This week is all about the last issue of Y: The Last Man, #60. BKV said he spent extra time on it (the only good thing about the writers strike). Poor Heidi at Comics Fairplay gets comments about her comic book reading from not one, but two gymbarbies. 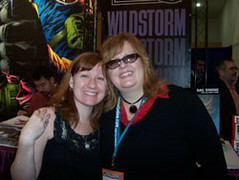 One gives the scrunchy face disapproval, and one is out and out hostile and made her poor husband sell his comics. What gets me more is the famous "mom card". People with kids use them as an excuse and reason for everything. I have friends and relatives with kids, and I love buying presents for them- and playing- but some people act like having children makes them a better and more relevant person. Believe me, I see tons of parents at the library and in life that are not in anyway better than me, no way no sir. I can get really steamed up about the rude and ignorant comments people say. With all the attention on pregnant stars and celebrity babies, it seems that a woman- especially a married woman-is forced to have kids. Have we gone back to the 1950s? 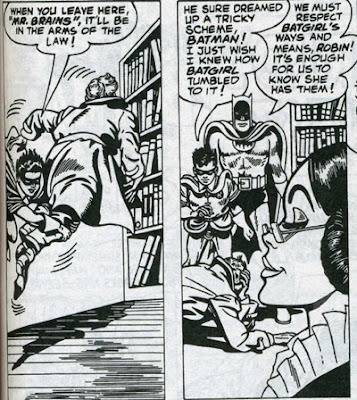 Also, why is it that men with kids still keep their life and hobbies-- they run, and read comics, and play guitar. But as soon as someone I know gets pregnant, it's forget the books they read or shows they watch or politics--- now it's all diaper bags and feeding. I understand being informed and interested in your children. Women, please don't lose yourselves so much in your marriage and kids that the friend we loved is gone. 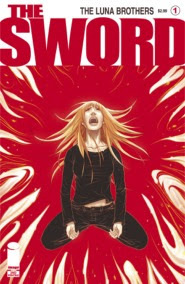 I read the Sword 4, and most of the latest Buffy, but that's as far as my comic reading has gone this week. I was surprised and saddened to hear of Heath Ledger's death. He was a great actor who could have banked on his looks but didn't. I thought he was a young choice for The Joker, but in costume the photos are scary. Playing the role of the psychotic Joker at a depressed time in his life must have been dark. We just announced the latest date for the MidJersey Comicon #5- this August 16, 2008. Just starting to contact our dealer and creator friends. 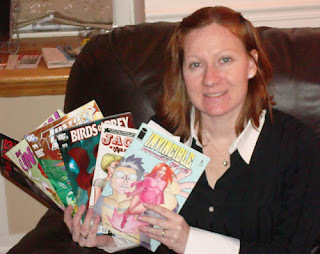 I meant to post this pic of me with some of my pull list. I have 8 unread comics from the last few weeks to read. Despite the writers strike, I've been busy watching shows like Project Runway, and while I don't like reality shows, now I've been watching The Biggest Loser. Just watched the first Sarah Conner Chronicles- great to see River from Firefly. And new Daily Shows and Colberts have been keeping Tivo busier than I thought. And, watching Dexter season 1 on DVD and Doctor Who Season 3. With Torchwood starting this Saturday, and Lost on the 31st, more TV. Not to mention, The Giants in the Superbowl. Very torn here, because I like Tom Brady and the Patriots (shoreturtle roots Brady because he went to UMichigan) -- but I've been a mild Giants fan if I have to pick a team. The NEW JERSEY Giants-- I hate when they show midtown Manhattan as if that is right next to the Meadowlands, in Jersey! I like both Manning brothers too. Plus, we got the Wii zapper so it's been Ghost Squad and Link's Crossbow Training. So that Family Room has been in use a lot; guess the cold weather has kept us in a lot. Although I worked yesterday, had today off for MLK day and we went to see No Country for Old Men. Blood and guns and dusty Texas landscape. Work has been very busy planning programs and writing annual reports and many patrons. I really deserve a damn promotion. I thought I had weeded a lot of titles from my list, but this still looks pretty long! What have I been enjoying most? Jack of Fables, Criminal, Y, The Boys, The Sword and Buffy. Dynamo 5 is losing steam and so has Birds of Prey for me. Now that phillygirl gave us Doctor Who Season 3 to watch-- can't wait to see Captain Jack from Torchwood on it-- I may pick up the upcoming Doctor Who comic. As I mentioned, until recently I'd never ever seen a DW, but David Tennant is just wacky, smart and now I'm there. On Friday, we had another cold, wet day here but I took the train to Philly for the ALA Midwinter exhibits. After eating a honey strawberry banana crepe at Reading Market, I went over for the Author session and two hours of the exhibit hall. The authors both write historical fiction, probably my least favorite genre. But they were both excellent, with Mary Doria Russell having a funny speech about how librarians were 'pushers' (Nancy Drew, just a taste) and then reading from her work about Clara Hitler. Geraldine Brooks, Australian and whipsmart, talked about her new book People of the Book and how Christians, Muslims and Jews all worked to protect this sacred Jewish text through the ages in Serejevo. She's on an author tour if you are interested in trying to see her speak. The exhibits-- about 1000 booths, a string band, a Rocky, a patriot, some pretzels and cheesesteak. There were so many publishers giving books away, much more than the state library conference, where a post-it note or a pen are the best giveaways. And...there was a graphic novel section! I remember a DC booth a few years ago, but it's great to see comic publishers taking library sales seriously. -I harassed the guy from Marvel about One More Day. He was easygoing and said he'd take it back to Marvel. 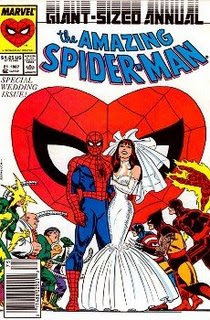 One bit of news is that Terry Moore's Spider-Man loves Mary Jane is slated for 2008. -IDW and Dark Horse and TokyoPop had booths also. -I bought the "Read Responsibly" book and the "Book Club" T-shirt from Bill from the Unshelved comic. My next post will be for Running42K on my current pull list! Love can not be retconned. The answer to the Marvel Question: What would you do with one more day? I've talked with Steve McNiven at several shows, just a smart and nice guy who loves libraries! The only bummer is that he will not sketch at shows-- maybe it's his slow pace that made Civil War run late. ...I hate what Marvel has done in One More Day, but teaming Dan Slott and Steve McNiven is nearly impossible for me not to buy. Both are two of the best in comics right now. -a 25-page lead story by Slott and McNiven setting up Spider-Man's Brand New Day. If you read this blog you know I am a fan of The Luna Brothers. I even had a letter published in Girls once. If you haven't given their latest series a try, I would suggest it. I think their character development and art are unique in the comics world. Man, three people are sick at my work, I've been tired since New Year, and friends L and J were both sick over Xmas. On the good side, the weather is sunny and 6oplus degrees here. 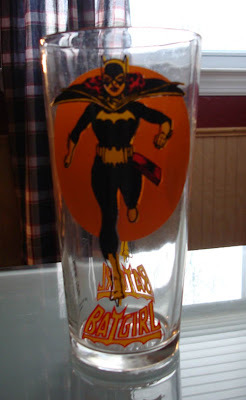 My 1977 Batgirl glass - a Xmas present from Shoreturtle! He said it turns out he bought it from a librarian in Ohio! I'm reading Preacher: Salvation volume 7 from PhillyGirl. We've been trading off buying the trades. It's been a while since I read the other volumes but the story sucked me back in. ...Not much. I've been uninspired musically this year. 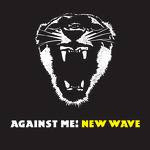 Besides a lot of XM listening (Fred, Lucy, Ethel, XMU, The Loft, Bluesville sometimes), I haven't explored much new music. And have not really spent $ on music this year either. Seeing those Top songs of 2007, I realize how far I am from the pop chart-- I barely even heard that Umbrella song. Sometimes the party takes you places that you didn't really plan on going. Well you told me about nowhere well it sounds like some place I'd like to go. BlogFriends, what songs did you dig last year?